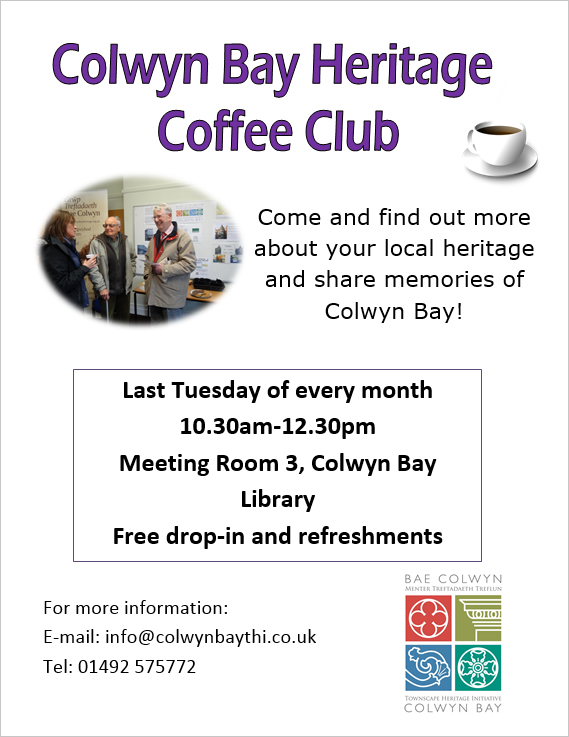 The Colwyn Bay Heritage Coffee Club meets on the last Tuesday of every month from 10:30am to 12:30pm, in Colwyn Bay Library. The meetings are free to attend, there are free refreshments and the event is usually held in meeting room No.3, which is upstairs in the library. 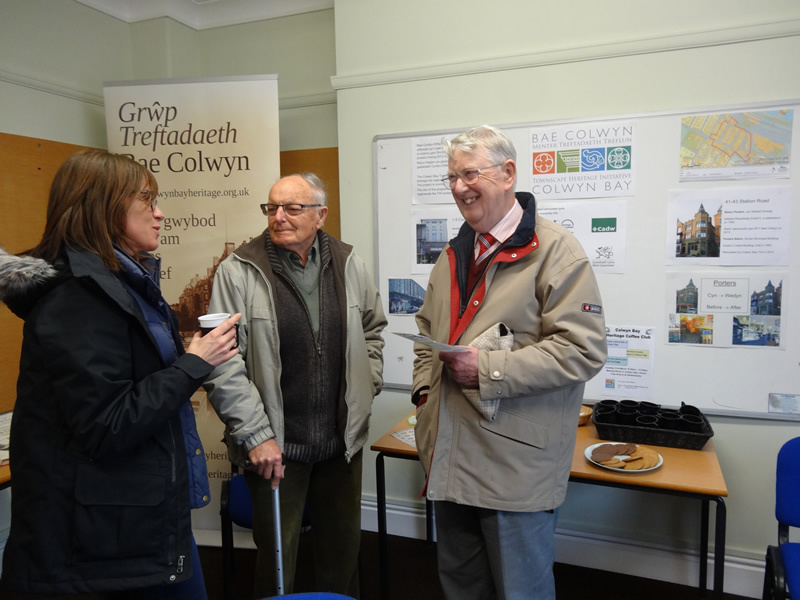 These meetings are a chance to meet the Colwyn Bay Townscape Heritage Initiative (THI) team, find out about what’s going on with heritage in Colwyn Bay and what projects the THI are working on, and to chat to like-minded people with an interest in heritage. 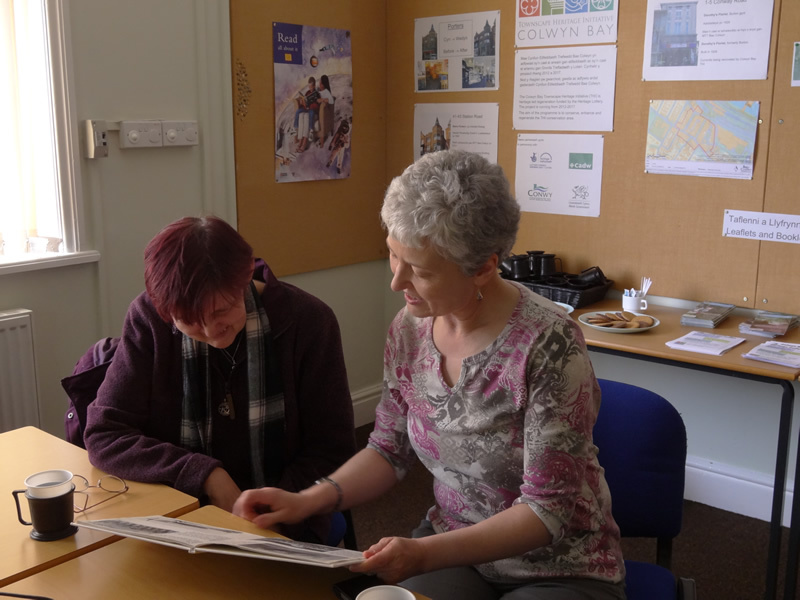 There are also books and computers available to start your own research into local heritage.